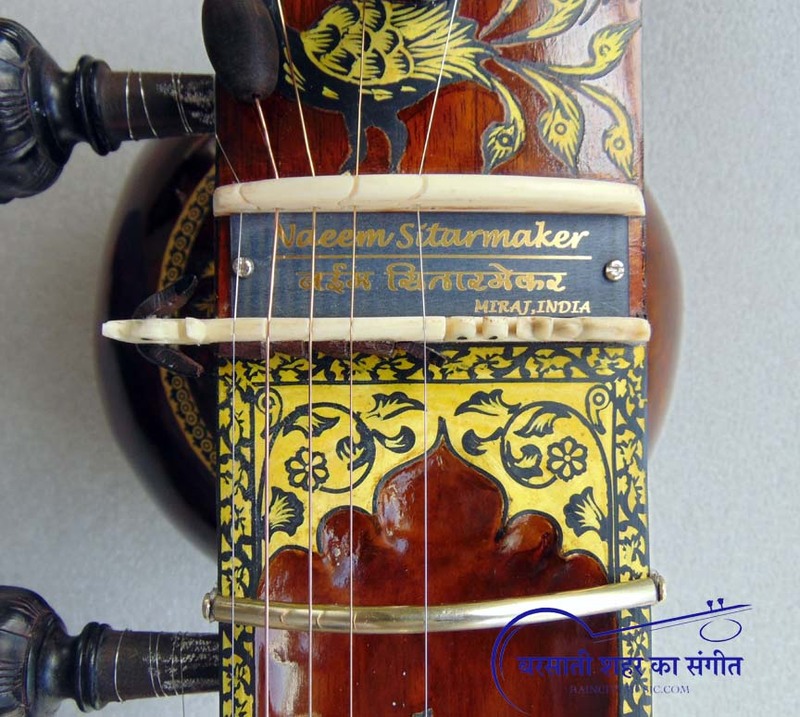 Another surprise from Naeem and family, in the works for a long time.... 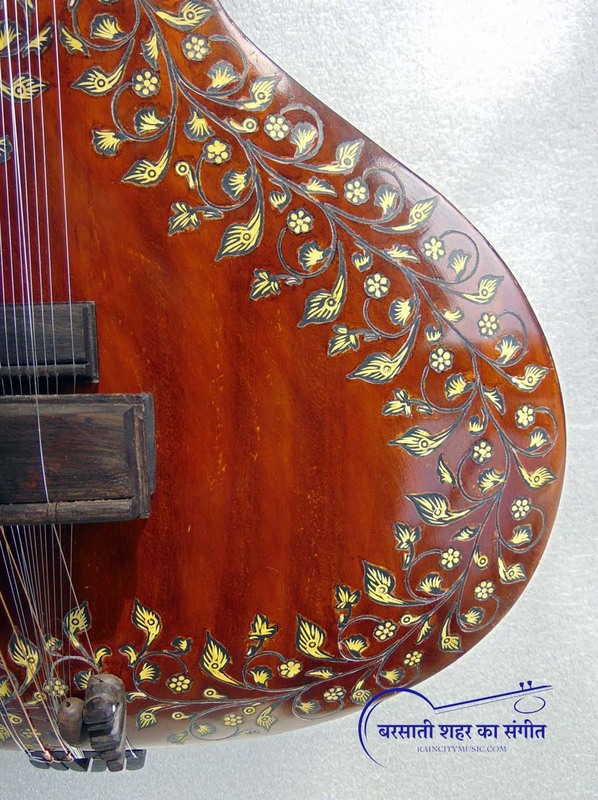 Features a fully inlaid peacock design with no carving. 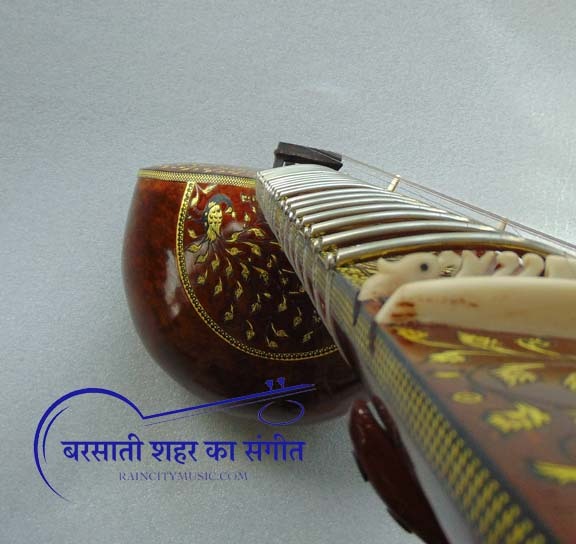 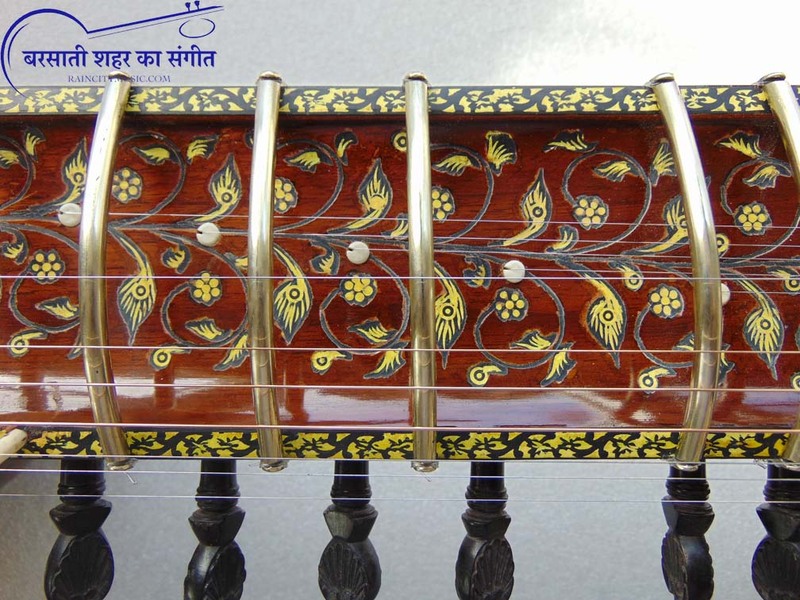 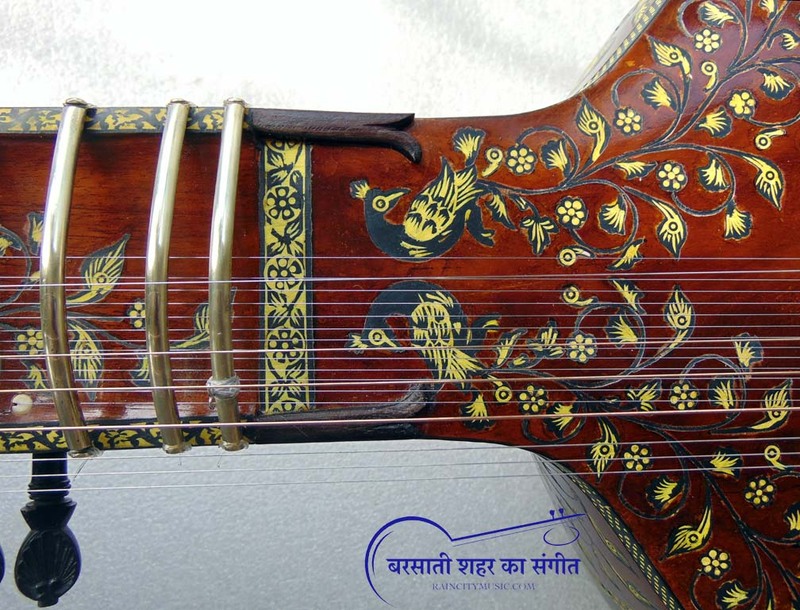 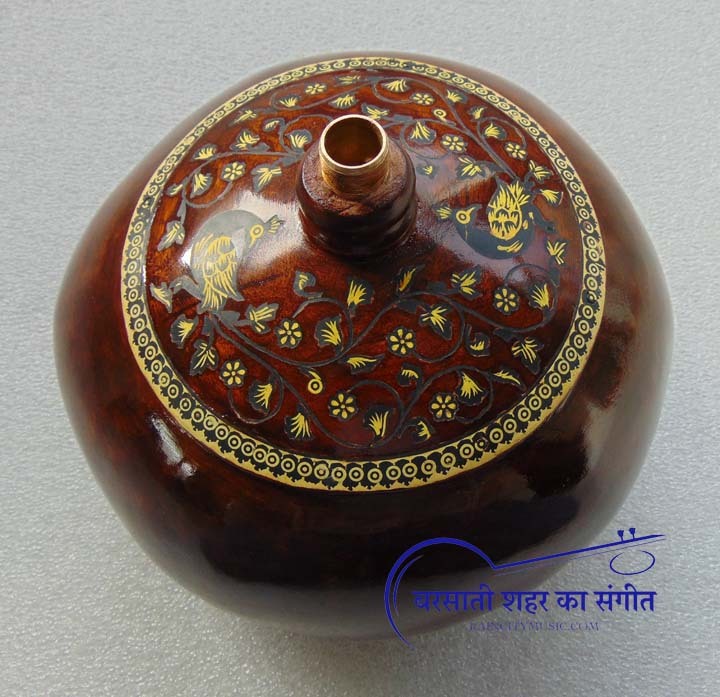 The inlay is done specially using materials and methods no one else in India does.. 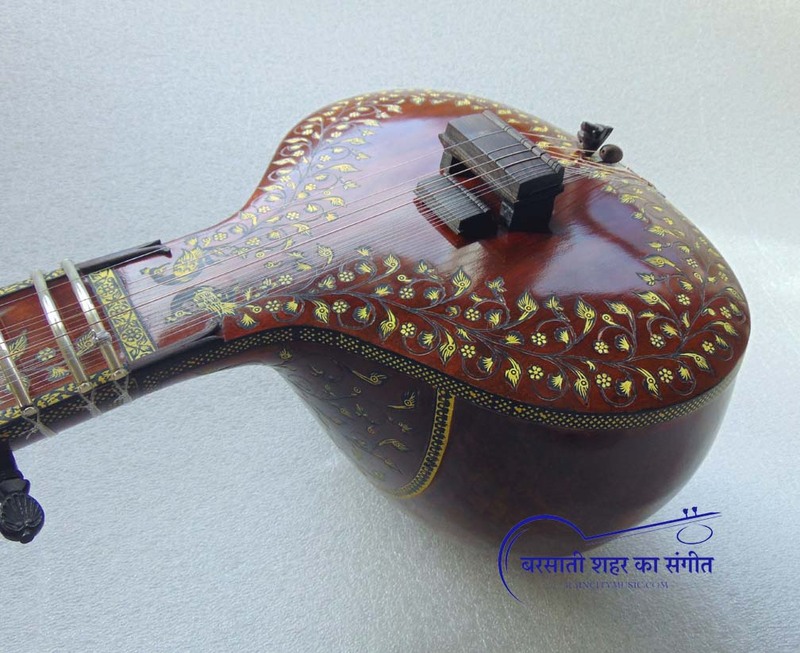 Sounds as good as it looks of course, this one more on the darker side tonally with ebony bridges. 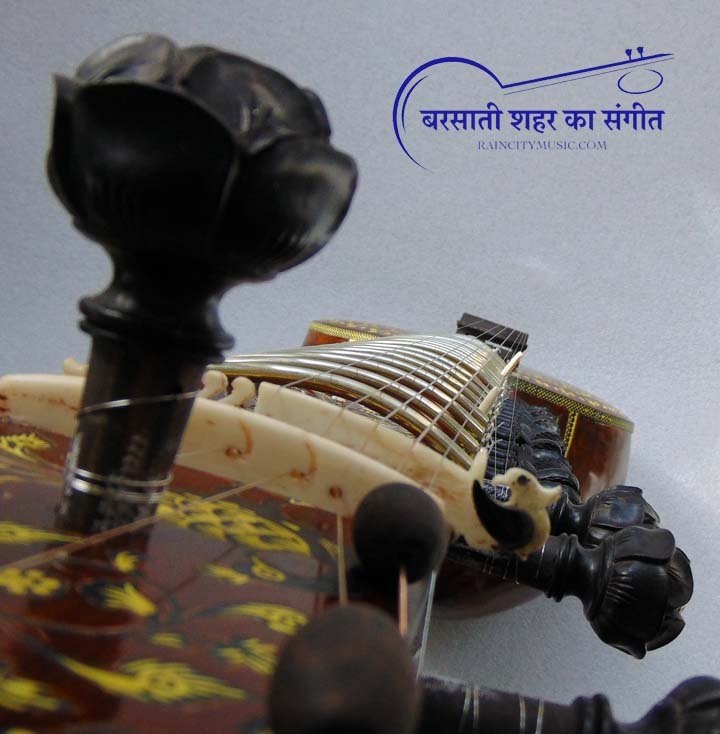 7 main strings and 13 sympathetics featuring a 3/4 open jawari in the style of Pandit Ravi Shankar. 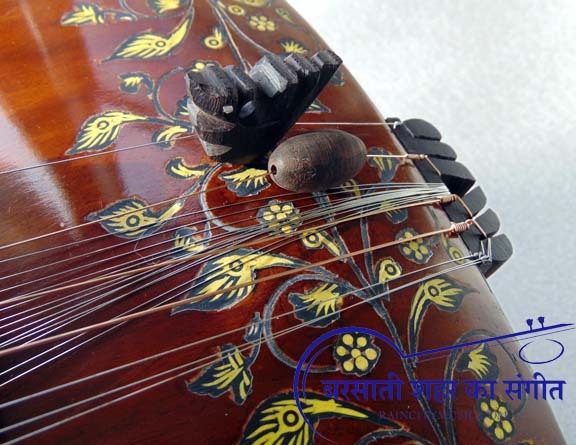 All natural materials for nuts/bridges. 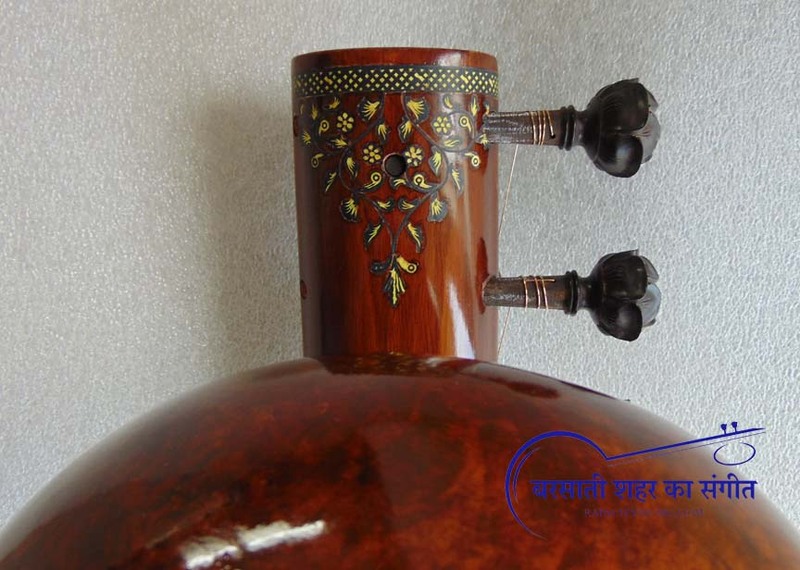 Nuts (Meru), all tuning beads, and langot/post custom hand carved. 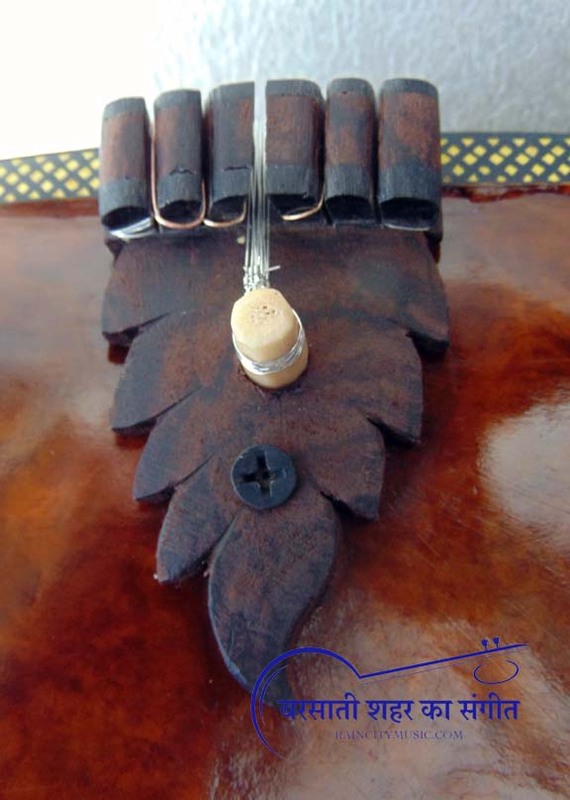 Main pegs also customized polished hardwood, sympathetics are also hardwood and carved. 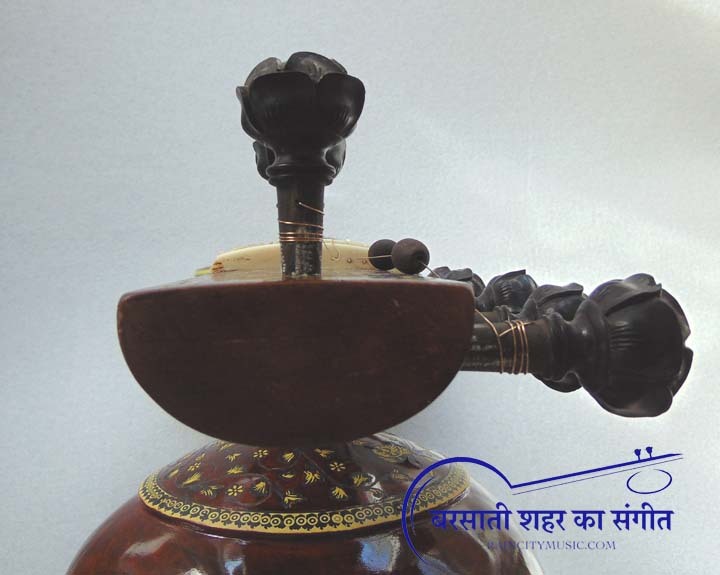 Aged mahogany was used, it has a 14 1/2 inch tabli and the construction is all Miraj made of course, even the beads which are ebony. 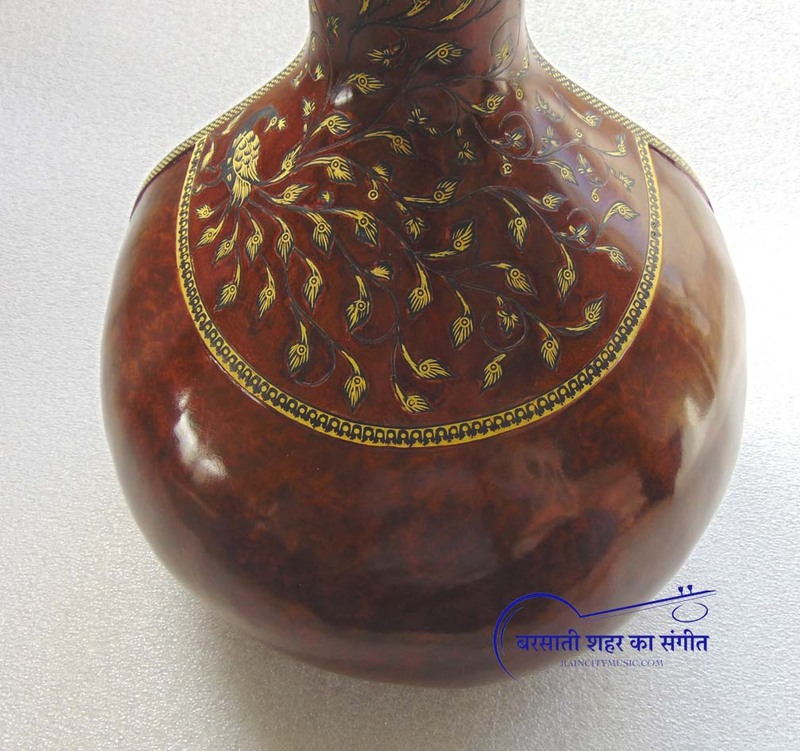 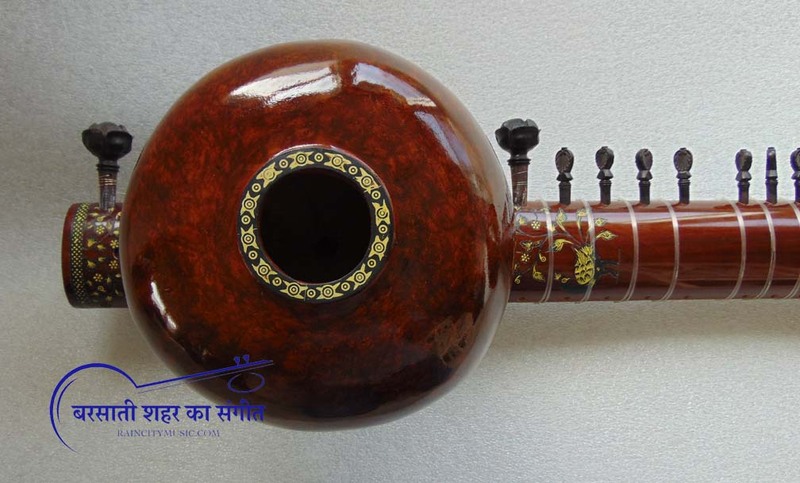 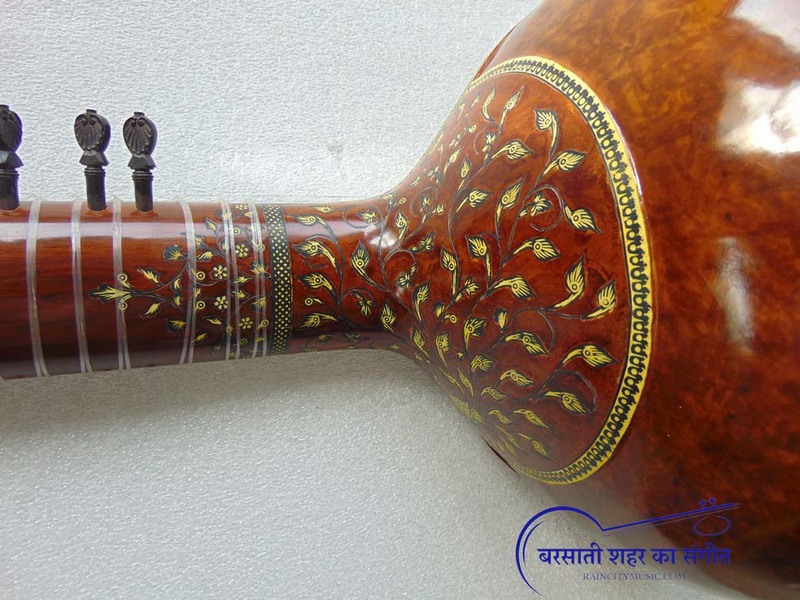 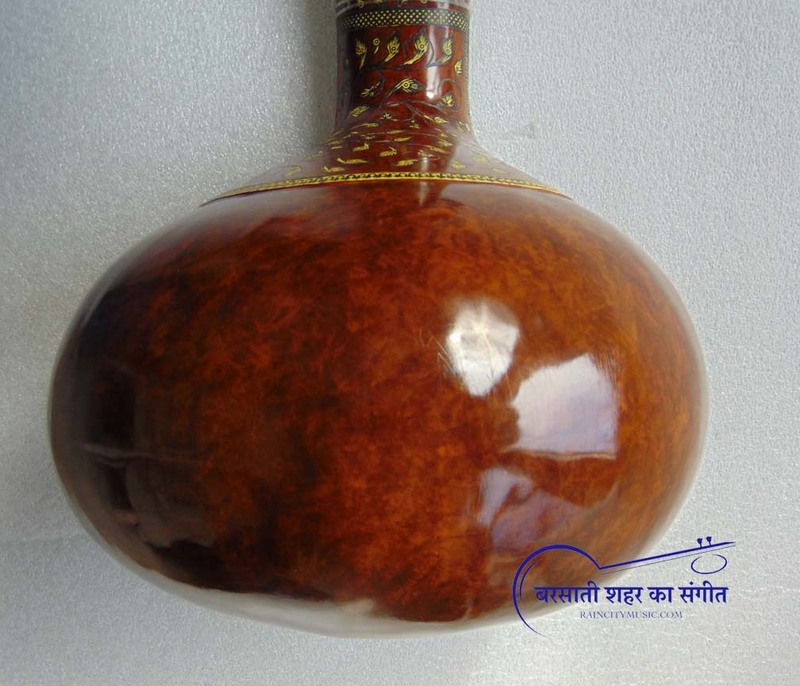 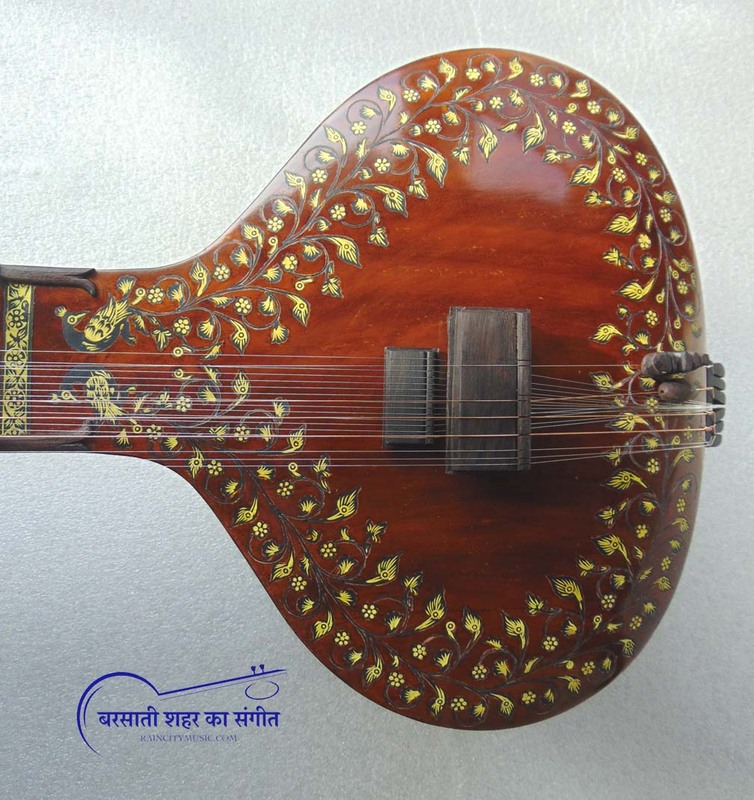 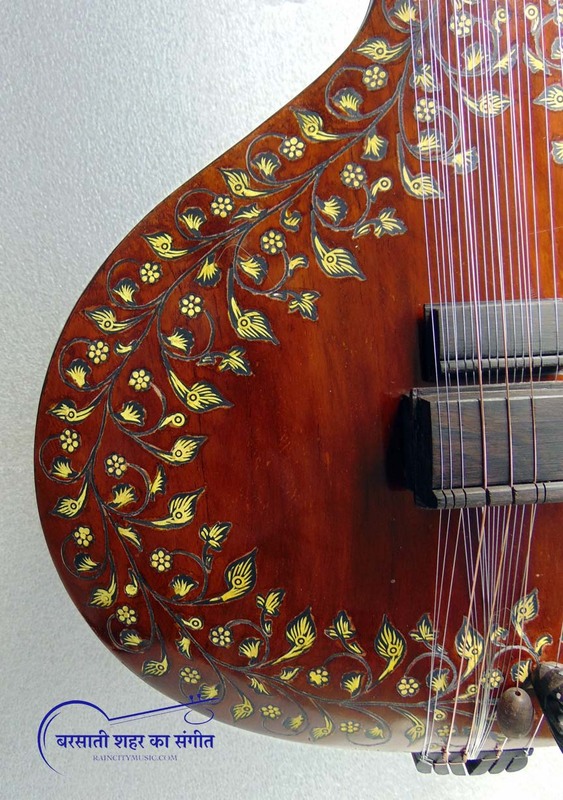 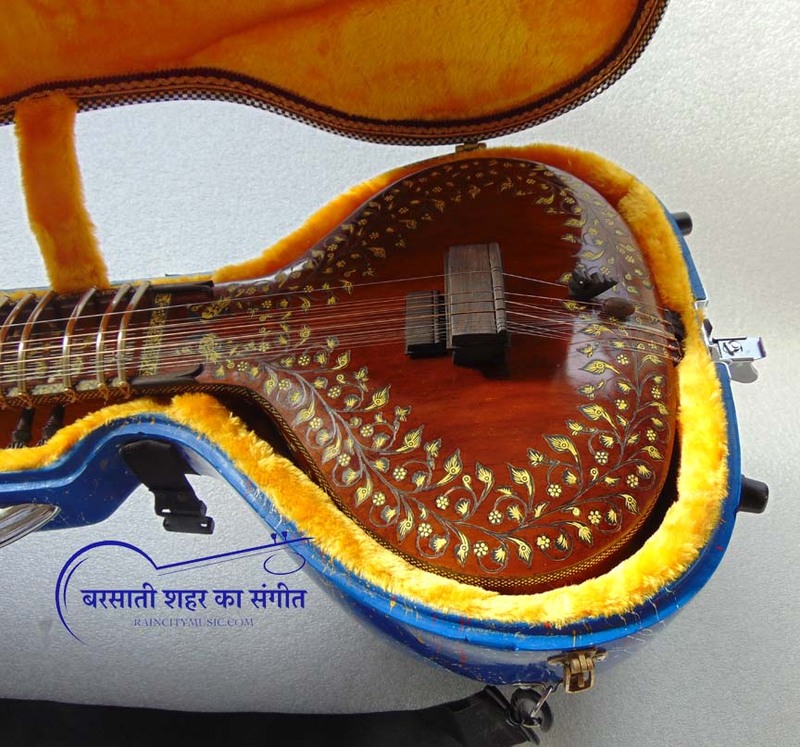 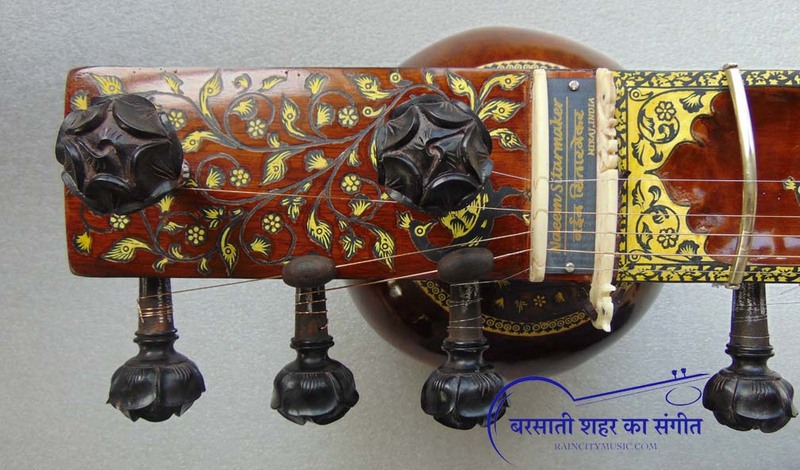 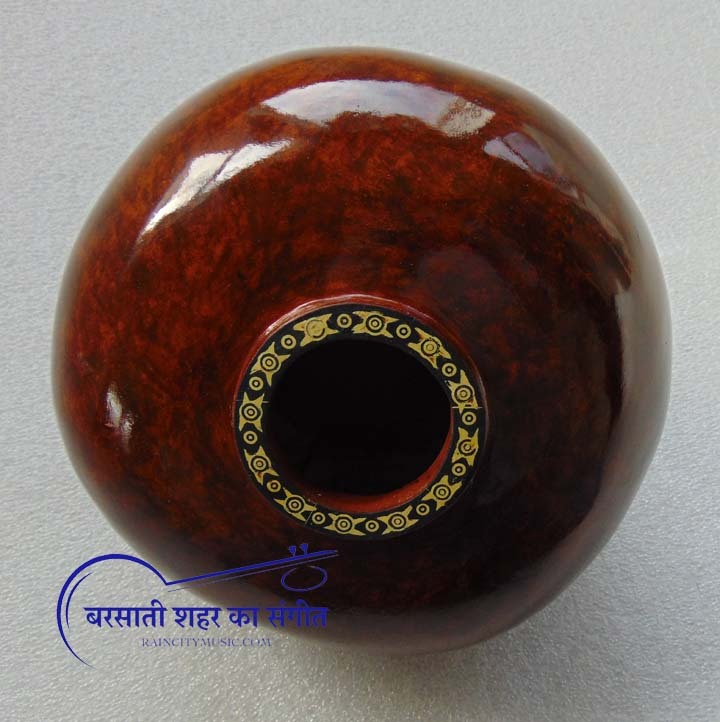 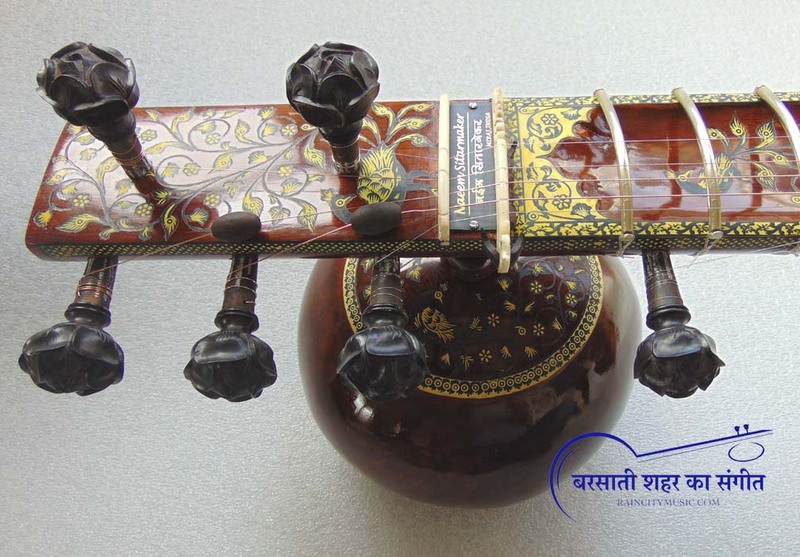 The top gourd has the same attention to detail with inlaid and smaller soundhole.